We are now over a week into May, and the changes are happening daily. Gone are the yellow flowers of daffodils and marsh marigold, replaced by whites of hawthorn and elder on the banks with delicate flowers of Jack by the Hedge appearing where clearance work was carried out in the winter. At the beginning of the week, on Salhouse Broad in a distance corner, two grebes were seen swimming around with well camouflaged small fuzzy little shapes around them. Upon closer inspection, it turned out there were three ‘grebelets’, so tiny and stripy, looking for protection on mother’s back. 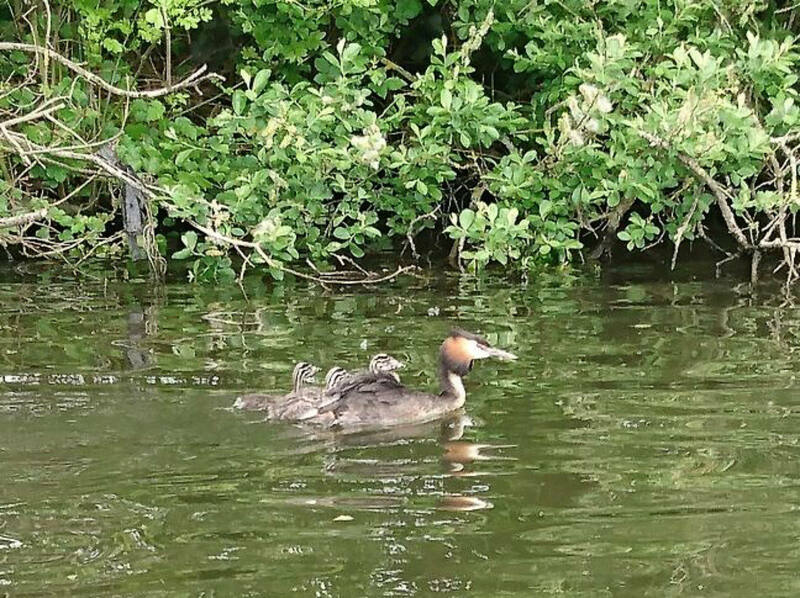 One of our day boat lads, Matt, managed to capture them on camera whilst out exploring. Grebes spend about four weeks incubating their eggs, so we should see some of the other nesting grebes hatch out some young soon. Perhaps some of the cutest young birds out right now are the cygnets. First spotted on Saturday, a small family of swans bearing two cygnets near Decoy Staithe were being most adorable as we passed; one cygnet was already sheltered between mum’s wings and as we watched from the Queen of the Broads, its sibling struggled and kicked to join it in the comfort of the feathery enclosure. Just a few days later, our skipper Richard spotted the largest family of cygnets we have seen for a while emerging from one of the dykes in the village. 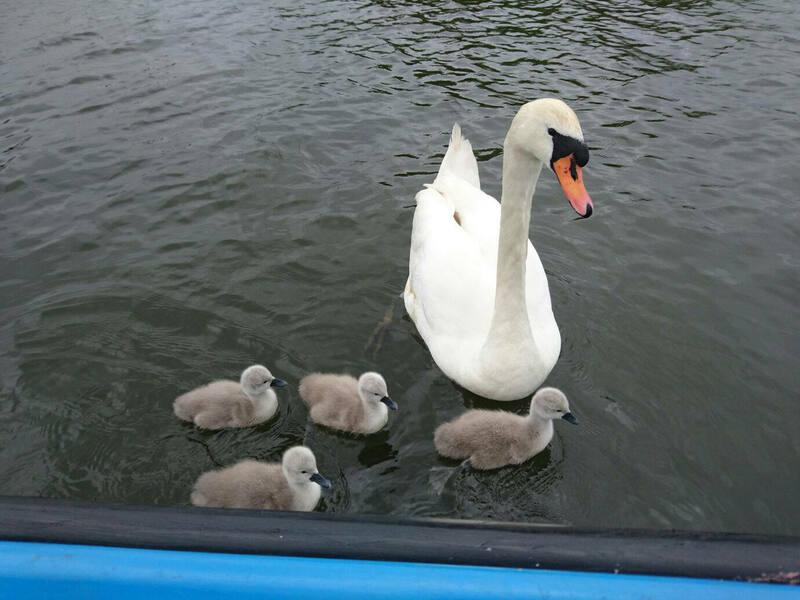 Here the swans have successfully hatched out eight cygnets! They seem to be using the same territory as a family of six last year, so we’ll keep an eye on them and see how they do. On Wednesday skipper Tobi reported only three of this family swimming around, but that’s because the other five were all hitching a ride on mum’s back! 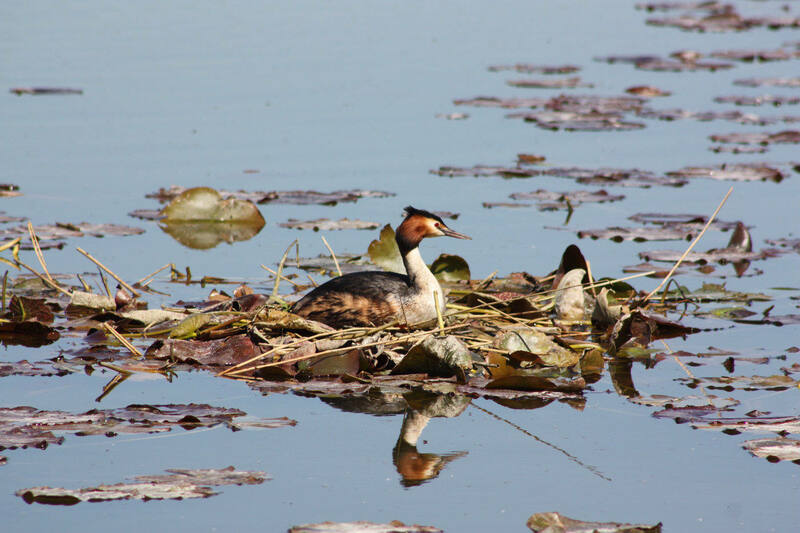 We are lucky to see so much activity on the river and Broads when a lot of the wildlife likes to hide away. 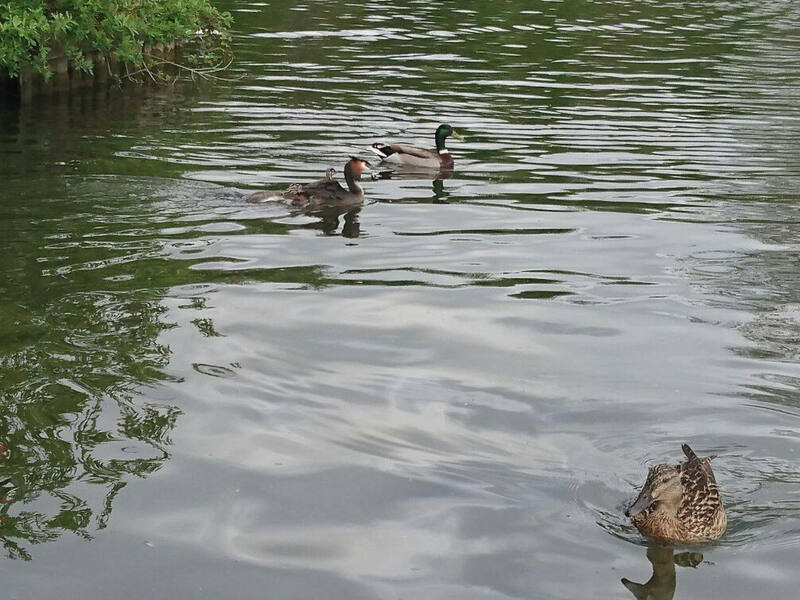 On Saturday we are running two trips to Hoveton Great Broad Nature Trail as part of the Outdoors Festival, and we’ll let you know what we see on this beautiful hidden gem. 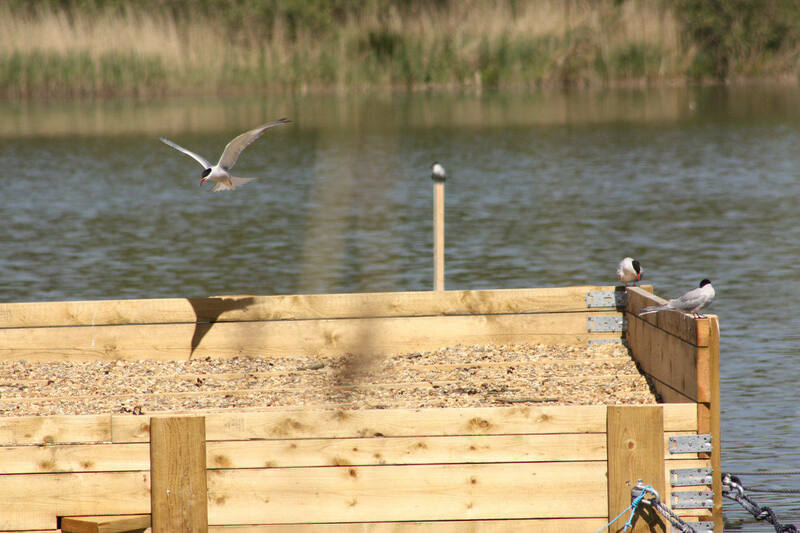 A quick recce on Wednesday gave us a few insights: common terns starting to use their new platform, a great crested grebe nesting and several butterflies flitting around. Watch this space for more cute photos, and remember: don’t get too close to nesting birds and feed them with only proper bird food or porridge oats!